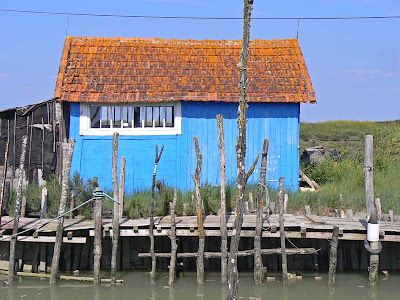 Check out these colorful oyster shacks of Ile d'Oléron, France, courtesy of Walt. 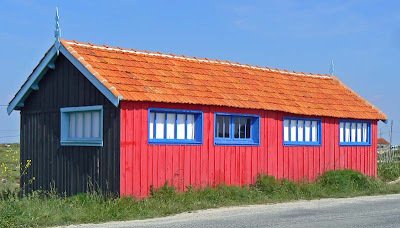 Meanwhile, last summer residents of Wellfleet, MA decided to preserve Cape Cod's last historic oyster shack "as tribute to oystering." 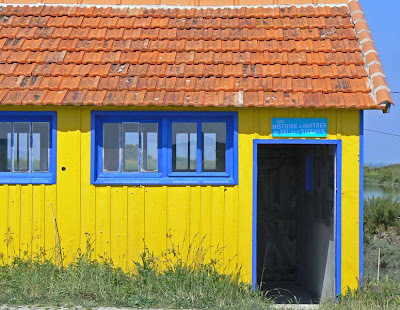 Unfortunately the news article didn't provide a picture of the shack in question.